Born into a humble family September, 7th, 1864 in Brescia. His cousin Father Giovanni Piamarta, canonized in 2012, introduces him to music and to the study of it. Child prodigy he plays in church even before having attended piano and violin courses at the local Musical Institute “Venturi”. From 1879 to 1881 he contributes to some theatres in quality of choir master and then becomes the organist at Vespolate. From 1883 onwards he attends the Regio Conservatorio di Milano, where Antonio Bazzini is the headmaster, and learns harmony, counterpoint and fugue from Angelo Panzini and composition from Amilcare Ponchielli. At evening calsses where he works as piano accompanist, he meets Guerrino Amelli, the initiator of the reform regarding the sacred music in Italy, that introduces him to the study of musical paleography, Gregorian singing and vocal polyphony. At the same time he writes for the magazines Gazzetta Musicale di Milano (published by Giulio Ricordi), and Musica Sacra, for the dailies La Sentinella Bresciana and La Lega Lombarda. 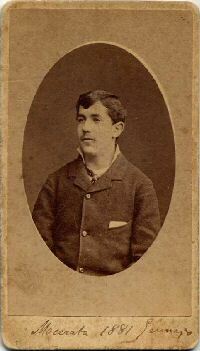 In 1885 he starts directing the Schola Cantorum at Vaprio d’Adda. The next year he is expelled from the Conservatoire because of a critical article written on a Mass composed by his professor Polibio Fumagalli, and in 1887 he moves to Piazza Armerina (Sicily) where he becomes the organist of the town’s Cathedral for nine months. In 1888 he takes up his journalistic activity in Milan again and also the organplaying at Vaprio. But after winning a contest at the Wagnerverein, he moves to Germany and becomes the first Italian to attend the famous Kirchenmusikschule in Regensburg where his professors are Haberl and Haller. During his stay in Germany he lives in Munchen, Nurnberg and Bayreuth (Monaco, Norimberga e Bayreuth) where he assist the wagnerain Festival. In 1889 he is appointed director of the Schola Cantorum and Second Master of the Chapel in San Marco in Venice by the hand of his professor Haberl, of Father Angelo De Santi and of Giuseppe Gallignani. He works in Venice till 1894 when he moves to Padua to direct the Chapel of Music of the Basilica of Sant’Antonio and is the organizer of the a commemorative festival, the Centenary (1895) of Sant’ Antonio, the patron saint of the city, setting up important concerts. During these years he is in relation with musicians like Boito, Sgambati, Martucci, Bossi and Perosi and also with valued culturally engaged people such as Fogazzaro, Fortuny, Gianturco, Illica, Luigi and Urbano Nono. From 1894 to 1901 he corresponds with Giuseppe Verdi and from 1897 meets him personally. Recollections, essays and episodes from this period can be found in “Rassegna Dorica” of 1940 published in serial form and in the book Idealità convergenti - Giuseppe Verdi e Giovanni Tebaldini, written by Anna Maria Novelli & Luciano Marucci (D’Auria Editrice, 2001). Between 1895 and 1897 he attains five First Awards for compositions for voices and organ, unanimously allotted, in contests announced by the Schola Cantorum at Saint-Gervais in Paris. 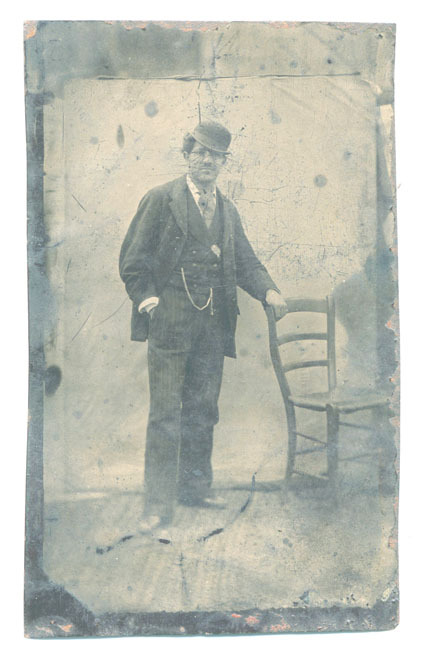 During the years 1897-1902 we find him running the Conservatoire in Parma where Ildebrando Pizzetti, Vito Frazzi, Bruno Barilli, Giulio Bas and Agide Tedoldi are among the students. Soon after he becomes the director of the Chapel of Music at Loreto, where he remains till 1925, effecting “a program of radical reforms regarding the restoration of the real liturgical music”. During his last year as director at director at Loreto the Ministery of Education arranges through “Voce del padrone” the realization of a series of records with his exemplary performances. He his appointed ad honorem permanent director for his long and praiseworthy work and also invited to conduct four annual festivals at Loreto. In 1903 Giuseppe Sarto, elected Pope choosing the name Pio X, enacts the Motu proprio and appoints him, Bossi, Terrabugio, Gallignani and a few others to carry out the reform of the sacred (church) music in Italy. In 1917 e 1923 he sets up and conducts the “Concerti Spirituali” in Bologna. In 1919 we find him among the founders of the Association “Alessandro Scarlatti” in Naples, and in 1921 he is invited to stage and conduct his Trilogia Sacra, a composition based on Gregorian melodies, motets and Palestrinian hymns (ed. Simboli, Recanati, 1921) during the celebration of the 6th Centenary of Dante Alighieri in Ravenna. In 1925 he is responsible for the commemoration of Giovanni Pierluigi of Palestrina, holding a lecture and conducting a concert with the great master’s compositions. That same year he is appointed, by Francesco Cilèa, head of a special job regarding “Esegesi del canto gregoriano e della polifonia palestriniana” (Exegesis of Gregorian singing and Palestrinian polyphony) at the Conservatoire “San Pietro a Majella” in Naples, whereas the academic year 1930-31 brings him to Genoa where he is the artistic director of the Ateneo Musicale (Musical University) “Claudio Monteverdi”. He receives several signs of honour, among which the Commenda dell’Ordine di San Silvestro conferred by the Pope (1906), the Encomio Solenne by Accademia d’Italia (1940) and the nomination by Accademia di Santa Cecilia (1950). G. Tebaldini is active until he passes away at San Benedetto del Tronto May 11th 1952. A great part of his works is sacred (church) music (140 pieces circa) like masses, oratorios, motets, psalms, hymns and pieces for the organ. Some of the most important are: Messa funebre (Funeral Mass) which wins the contest organized by the Regia Accademia Filarmonica Romana for the annual obsequis of the King Vittorio Emanuele II at Pantheon in Rome, written together with Marco Enrico Bossi in 1892; Missa Solemnis in honorem Sancti Antonii Patavini for four mixed voices and organ (1895, op. 12, ed. Ricordi, 1899) and awarded by the Schola Cantorum of Saint Gervais in Paris; Missa Conventualis for four mixed voices (1896, op. 15); the Oratorio Caecilia Nuptiae for soprano, choir of four voices and small orchestra (1898-1931, op. 21); Missa solemnis pro defunctis for four or five mixed voices (1908, op. 35) performed in 1908 at Pantheon in Rome for the obsequis of the king Umberto I; Quintetto pel Natale (1933); the gregorian symphonic poem Rapsodia di Pasqua (1935-1937) performed and conducted by Ildebrando Pizzetti at the Teatro Eiar in Turin in 1938; Padre, se mai questa preghiera giunga al tuo silenzio (1947), his last composition to the text of Ada Negri. His profane works count about 46 titles and among the symphonic and voice-symphonic pieces we find: the sketch for orchestra Fantasia Araba (1887, op. 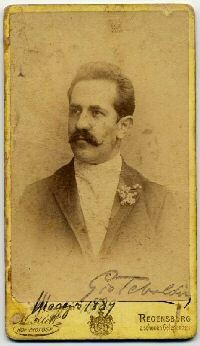 11) on Luigi Illica’s first libretto; Marcia festiva (1897, op. 20); Epicedio (1944-’45). Among the chamber music and choir music we find works like Ella tremante venne alfine (1904, op. 32, n. 3) to Gabriele D’Annunzio’s words; L’Infinito (1904); A sé stesso (1935) and Amore e Morte (1935); Canti to Giacomo Leopardi’s text; Ebbrezze de l’anima (1893, op. 7); six lyrichal pieces for piano and tenor on the lyrichs Mistero del Poeta by Antonio Fogazzaro; Lux in tenebris (1912, op. 37); seven lyrichal songs from Miranda by Fogazzaro. As great researcher of music paleography he dedicates himself to the recording, the rearrangement and transcription into modern scores of more than 130 Italian and foreign compositions such as L’Incoronazione di Poppea by Claudio Monteverdi, Jephte by Giacomo Carissimi, Rappresentazione d’Anima e di Corpo by Emilio de’ Cavalieri (ed. M. Capra, Turin, 1929) performed in various highly valued places in Italy and abroad, Euridice by Jacopo Peri and Giulio Caccini, Fuga in sol minore by Girolamo Frescobaldi (ed. Ricordi, Milan, 1931), Largo by G. B. Bassani (ed. Ricordi, 1931) and Totila by Giovanni Legrenzi (ed. Ricordi, 1937). Between 1890 and 1936, apart from the liturgical concerts in musical Chapels in Venice, Padua and Loreto, he conducts around 70 in main Italian and foreign towns and cities. Of a certain fame is the “Concerto Storico” in Venice in 1891 because he is one of the first to present music composed by ancient masters. Because of his long and many-sided activity, his musical culture and his great knowledge in various fields, not only Italian, G. Tebaldini’s name holds a prominent position in the modern European musicology. Among his written works on music history and critics we find L’Archivio Musicale della Cappella Antoniana in Padova (1895), a work which is highly valved by Arrigo Boito and Giuseppe Verdi, L’Archivio Musicale della Cappella Lauretana - Catalogo storico-critico (edited by the Administration of the Santa Casa at Loreto, 1919), La riforma della musica sacra in Italia (1888); Giuseppe Zarlino (1893); Gounod autore di musica sacra (1894); G. P. da Palestrina (1894); Giuseppe Tartini (1896-’97); Felipe Pedrell e il Dramma Lirico spagnuolo (1897); Da Rossini a Verdi (1901); La musica sacra nella storia e nella liturgia (1904); Il "Motu proprio" di Pio X sulla Musica Sacra (1904); L’elemento lirico nella musica sacra (1906); Telepatia musicale (1909); La musica e le arti figurative (1913); Giuseppe Verdi nella musica sacra (1913); Ferdinando Paër (1939); De la melodia verdiana (1941); Verdi e Wagner (1941); Fuori del teatro (1951). In 1931 he writes the book Ildebrando Pizzetti nelle "memorie" di Giovanni Tebaldini (Giovanni Tebaldini remembering Ildebrando Pizzetti). In 1894 he edits the organ teaching method Metodo di studio per l’Organo moderno (1894) together with Bossi. He also, the same yers, translates from German P. Piel’s Trattato di composizione. He holds around 175 public lectures in Italy and abroad. Some of the titles are: Origini e finalità della musica sacra (1906-’07); La riforma della musica sacra in Italia (1896); L’anima musicale di Venezia (1907); Palestrina e la polifonia musicale (1907); La funzione sociale dell’arte (1907); L’organo nella chiesa cattolica (1909); G. P. da Palestrina e la musica spirituale (1920); La storia della musica in Europa nel secolo XIX (1924); Esegesi palestriniana (1926); Lezioni di Storia, Estetica e Pratica gregoriana (1929); La riviviscenza della tradizione (1931); La scolastica del P. G. B. Martini (1932-’33); La Scuola Veneta ed i Gabrieli (1933); L’arte di Beethoven (1935); La tradizione e l’evoluzione nell’arte (1936); Come lavorava Beethoven (1936-’37); Scienza e fede (1945). 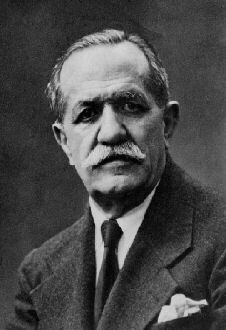 He helds memorable commemorations, as for instance, for Antonio Bazzini (1888); Carlo Andreoli (1910); Lauro Rossi (1910); G. M. Nanino (1911); Giuseppe Verdi (1913-’14, 1926, 1951); Giuseppe Martucci (1914); Angelo Mariani (1921); Gaspare Spontini (1924-’25); G. P. da Palestrina (1894, 1925); Alessandro Scarlatti (1925); Marco Enrico Bossi (1925); Ludwig van Beethoven (1927); Amilcare Ponchielli (1934); Gianbattista Pergolesi (1910, 1936). During his life-long work he writes a great number of articles on Amelli, Bellini, Berlioz, Boito, Buzenac, Fogazzaro, Frescobaldi, Legrenzi, Martini, Mozart, Pace, P. da Palestrina, Pergolesi, Perosi, Persiani, Pio X, Pizzetti, Ponchielli, Sgambati, Terrabugio, Toscanini, Verdi, Wagner, Zuelli. Some of his studies on P. da Palestrina, Ponchielli and on musical aestethic (Domus Aurea) have never been published. The bibliography of texts concerning Tebaldini is very rich, some of the most alert critics and historiographers to his many works are F. Abbiati, I. Valetta. For other information we invite you to visit other parts of the website.